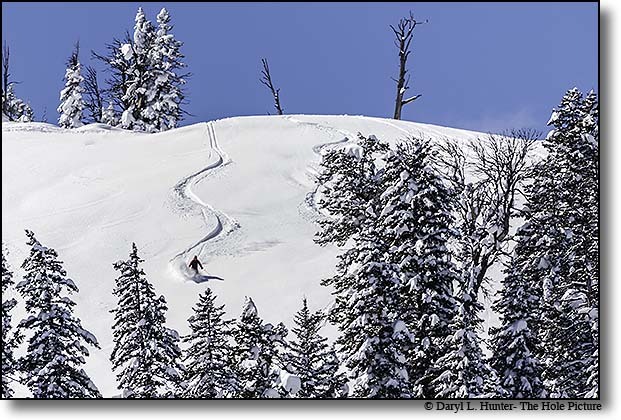 Teton Pass Resort –that is the sarcastic name locals often use to describe Jackson Hole's most accessible backcountry area, which is sometimes so tracked up you'd think it is served by chairlifts unseen on the other side of the ridge. If you are willing to put fourth the effort, Teton Pass will reward you with myriad adventurous backcountry lines and practically guaranteed powder. 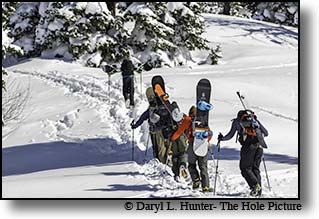 Backcountry skiers speak reverently of these places since long ago. Powder Hounds had given up homes, jobs, and relationships just so they could live out of their pickup trucks and ski at Teton Pass for a winter. For the pass, newcomer there is basically two-route options-boot-packing on the north side of the road, or skinning to the south. Heading north means lashing your skis or board to your pack, and hiking directly up the steep south ridge of 10,086-foot Mount Glory. Heading north means lashing your skis or board to your pack, and hiking directly up the steep south ridge of 10,086-foot Mount Glory. From Glory's broad summit, 180-degree Glory Bowl may tempt, but it also slides. It is prudent to wait for a low-hazard day and do your homework before you drop into it. Glory Bowl, delivers 2,000 vertical feet of wide-open lines, trees, and secret stashes. The mountains to the south of Teton Pass largely are not very steep but often provide the sweetest dry powder A short ski from the summit parking lot can reveals endless untapped powder stashes offering acres of snow covered open bowls and glades. This is the very essence of drive-by backcountry skiing: easy and, direct access to 2,000-vertical-foot runs-spongy powder on north-facing slopes and silky corn on south faces. Heading south from the parking lot means slapping on skins, and shuffling up the Forest Service Road, after a few minutes, your many options, including classic Edelweiss Bowl, unfold. Edelweiss is the large, obvious bowl to the west as you skin up the road. 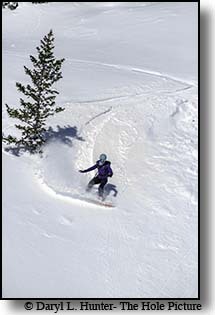 Since the parking lot lies at an elevation of 8,400 feet, the short ski along the scenic crest ridge accessing the powder laden bowls to the south of Teton Pass are perfect for the beginning backcountry skier providing they are accompanied by more experienced skier. Ski Lake provides an easy destination that provides low-angled slopes for beginners to learn telemark turns. This south side is home to many exciting runs that terminate at Old Pass Road near Wilson WY an easy place to hitch a ride back up the pass parking lot. The true beauty of the pass is that the hike is so fast and the ride down drops you onto the highway so that you can rack up lap after lap of powdery reward. You can escape the crowds by heading across the highway to Avalanche Bowl, or skin up and head farther north from Glory into Unskiabowl or the Great White Hump, opportunities are many. 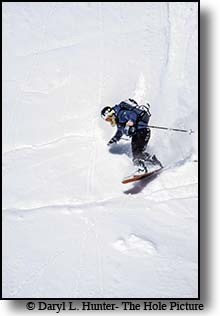 More advanced skiers may opt for the open bowls of Mail Cabin Creek, these runs terminate at The Coal Creek parking lot on the west side of the Teton Pass. This area however is quite popular so if you want first tracks get there early and if solitude skiing is a priority choose another spot. The north side of Teton Pass is dominated by legendary 10,086-foot Mount Glory, which provides a southeast-facing bowl. 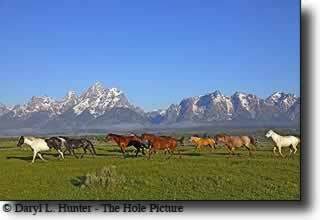 This is a good first ski adventure in the Tetons for the intermediate to advanced skier, or snowboarder. You must boot pack or skin your way up Mt. Glory It is usually easy to see the trail of those who preceded you. Many opt to ski down the west side of the mountain, which provides many great open and treed runs that end up at The Coal Creek parking lot. Coal Creek parking lot is another easy place to hitch a ride to the top of the pass. Arrive late on a powder day or ideal spring corn day- late meaning 9 a.m. And you may find the parking area atop the pass jammed with AWD wagons, skiers, and dogs. So get there early. 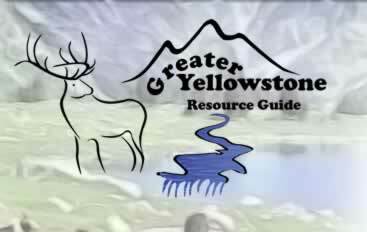 Teton Pass is avalanche terrain and requires avalanche knowledge and equipment to insure safety. 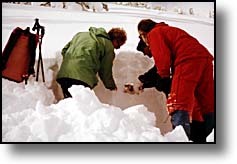 It is prudent to dig a snow pit to analyze the snowpack. Snow slides can occur in the bowls at any time so be extra cautious by avoiding cornices which form on the tops of the ridges and by looking for fractures in the snow, which are telltales of an unstable snowpack. Many mountaineering services in the Teton Valley/Jackson Hole region offer avalanche courses throughout the winter. Mountaineering shops in the area also sell avalanche safety gear. It is also recommended that you not ski alone remember that there is no Ski Patrol in the backcountry. If a problem occurs during your trip, your partner can go for help if the need arises. Bring a pack for your water, extra layers, and a pack shovel, and wear a transceiver so your partner can locate your body in and avalanche. It alarms me how many hitchhikers I pick up in Wilson heading up for a run after work on a 45-degree day. The locals ski here so much they get complacent of the dangers. Just be very careful: This is true backcountry and it can be deadly. Carry avalanche gear and know how to use it. 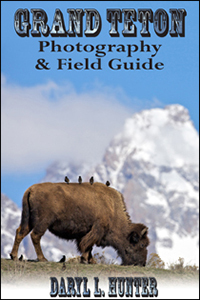 If you are unsure of your backcountry skills, hire a guide.